They considered every possibility – and ten did the impossible! Minutes after departing Athens, Greece on June 27, 1976, Air France flight 139 was commandeered by militant German and Palestinian terrorists. On board were 256 passengers and crew, 106 of whom were Jews. Their new destination: Entebbe Airport in Uganda, the African nation ruled by ruthless strongman Idi Amin. Their only hope was a desperate rescue by Israeli commandos. 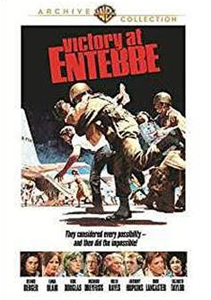 Victory at Entebbe is one of the most dramatic adventures in modern history. The world held its breath while heroes did their work. This documentary records the result.